The SECO Small Tilting Reflector 6600-01 is the reflector to rely on when it comes to short-range measurements up to 492 feet. It is 62mm in diameter and has a -2 millimeter offset with diamond pattern sheeting. The yellow body is adjustable on 2 axes. It fits on swiss-style and Leica-style male tips, as well as quick release adapters. 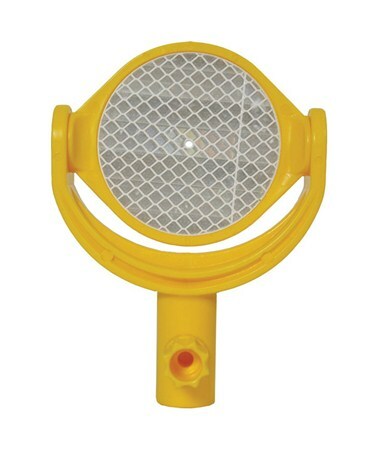 This reflector is mostly used in mining, tunneling and deformation applications. The small diamond reflector comes with a 1 year limited warranty.